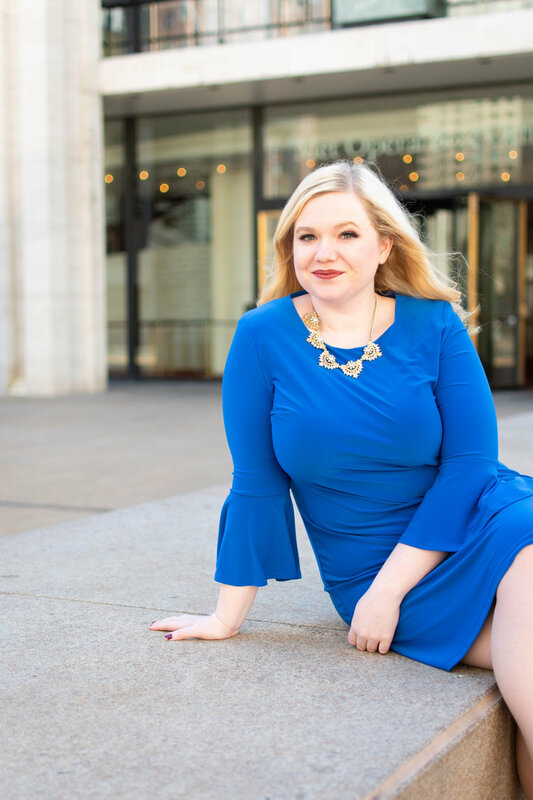 Danielle is a Professional Studies Student in Opera at Mannes College The New School For Music where she recently earned her Master’s Degree in Voice. She received her Bachelors Degree in vocal performance from SUNY Fredonia. Danielle was named a Grand Finalist in the Metropolitan Opera National Council Auditions where she performing “In quali ecessi… Mi Tradi” and Anna Bolena’s mad scene aria, “Piangete voi… Al dolce guidami” with the Metropolitan Opera Orchestra under the baton of Maestro Bertrand de Billy. Future engagements include Anne Trulove in The Rake’s Progress with Mannes Opera and her Carnegie Hall Mainstage Debut as the soprano soloist in Mozart’s Requiem with the Cecilia Chorus of New York. Her summer plans include travelling to Crested Butte Colorado to sing Alice in Falstaff with The Crested Butte Opera Studio. Most recently Danielle portrayed the role of Madeline Usher at Mannes. Last summer she sang Donna Elvira with the Hawaii Performing Arts Festival and was also a Professional Fellow at SongFest in Los Angeles. Danielle has placed and advanced in several competitions. Last year Danielle was the Jacklyn Elyn Award winner in The George London Foundation for Singers Annual Competition, First Place Winner in the Classical Singer Online Competition and also First Prize Winner in the Civic Morning Musicals Competition. Additionally, Danielle was also named a finalist in the Mannes Concerto Competition Previously she received an Encouragement Award for the Buffalo-Toronto District awarded in January 2014. Danielle was a finalist in the Benjamin Matthew’s Vocal Competition and a semi-finalist in the Classical Singer Competition, both in 2016. She has also won the SUNY Fredonia Concerto Competition and performed with the Fredonia Chamber Orchestra in December of 2013. In 2014 Danielle was the apprentice soprano soloist for Western New York Chamber Orchestras performances of Mozart’s Dominican Vespers and Handel’s Messiah with the Advent Chorale of Western New York. Danielle’s full operatic roles include Fiordiligi in _Così fan tutte_ and Beth in Mark Adamo’s opera _Little Women_ with the Mannes Opera, Donna Anna in _Don Giovanni_ and Magda Sorell in Menotti’s _The Consul_ with the Western New York Orchestra, And the title role is Floyd’s _Susannah_ and also Suor Genovieffa in Puccini’s _Suor Angelica_ with the Hillman Opera. Danielle attended the Chautauqua Institute Summer Festival for two summers and was an Apprentice Artist at Ashlawn Opera. Ms. Beckvermit is a proud student of Amy Burton.